Got more stuff than you’ve got places to put it? Not to worry. Even the tiniest of houses can be converted into space-saving hero houses. It just takes some creativity — and a little elbow grease or professional help. 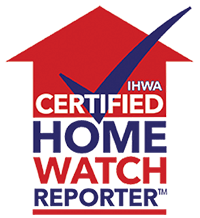 According to HomeAdvisor’s True Cost Guide, most homeowners spend an average of $380 to $1,000 to have an expert make sense of their mess. Here are five real projects to give you the ideas and inspiration you need to get started — whether you decide to go solo or call on a pro. Cubbies take us all back to a simpler time — elementary school — when our greatest worry was whether we’d open our lunchbox to find yet another bologna sandwich. And while they may not be able to wipe our worries away – or make us a nostalgia-worthy bologna sandwich — cubbies can do a lot to make things a little simpler again. 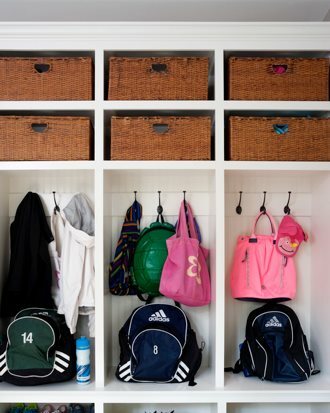 In fact, cubbies are the perfect systematizing solution for entryways and mudrooms. You can create them inexpensively with freestanding modular units and hooks, or you can invest in custom built-ins like these. 2. Put pullouts to work in the kitchen. Lower kitchen cabinets. The place where Tupperware goes silently packing and pots and pans – amidst chaos — clamor for their rightful rank. The solution? Simple pullout drawers (also known as rolling drawers, sliding drawers and pullout shelves). You can find these ready-made for standard cabinet dimensions or have them custom made and installed. 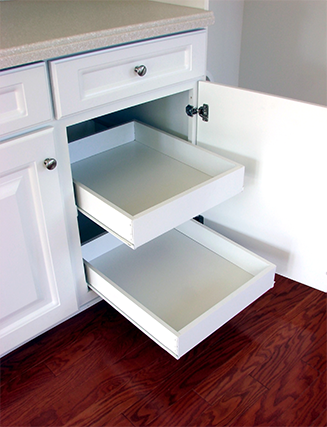 Pullout drawers are also a fantastic organization solution for pantries, laundry rooms and bathrooms — and they’ll give your back a break while cutting your swear jar donations, too.